Roasted Chantenay Carrots With Ricotta Pecans And Coriander. 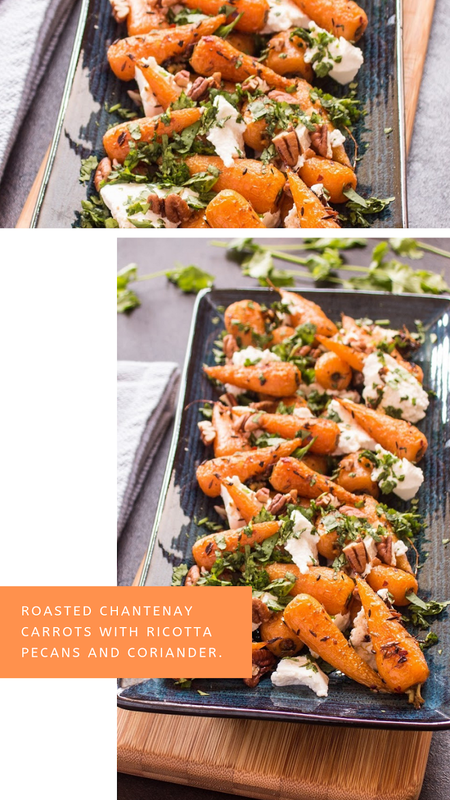 Hello friends, today I have a tasty recipe to share with you; Roasted Chantenay Carrots With Ricotta Pecans And Coriander. This roasted carrot salad is a fantastic veggie dish packed full of exciting flavours. The sweet spiced carrots go perfectly with the creamy ricotta and the crunchy pecans. In a large bowl mix the Chantenay with the olive oil, cumin seeds, chilli flakes and crushed garlic. Season with salt and pepper and mix to thoroughly coat the Chantenay. Spread the Chantenay in a single layer on a non-stick baking sheet and roast for 30 minutes, or until tender. Remove from the oven and place into a serving dish. Crumble over the ricotta and top with the chopped pecans and coriander. 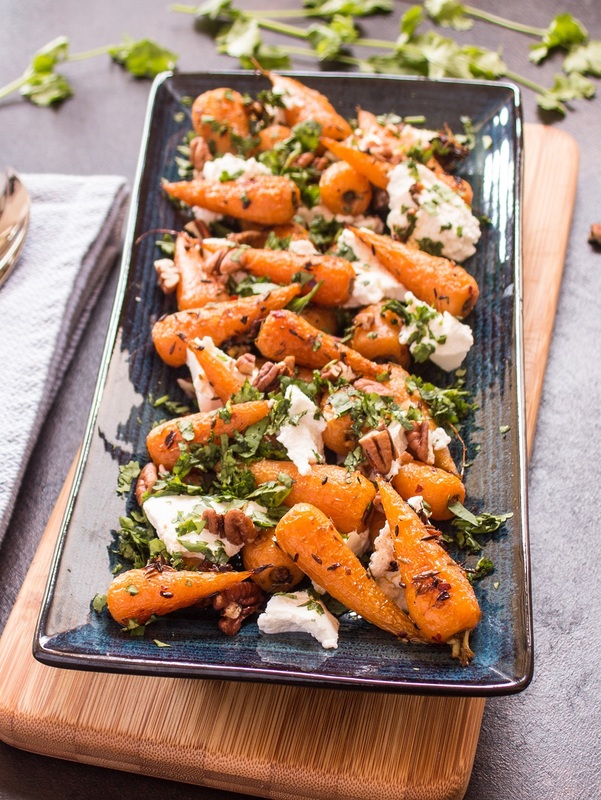 What do you think about this Roasted Chantenay Carrots With Ricotta Pecans And Coriander recipe? Roasted Chantenay Carrots With Ricotta Pecans And Coriander. This roasted carrot salad is a fantastic veggie dish packed full of exciting flavours. The sweet spiced carrots go perfectly with the creamy ricotta and the crunchy pecans.